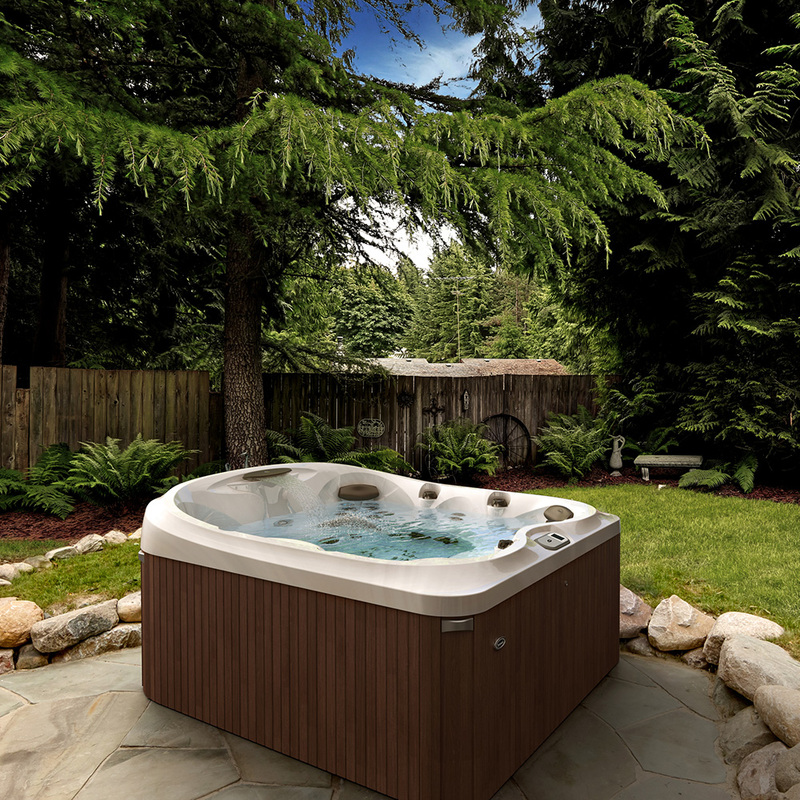 The J-445TM hot tub has been meticulously designed to deliver optimal hydrotherapy alongside the utmost in comfort and luxury. 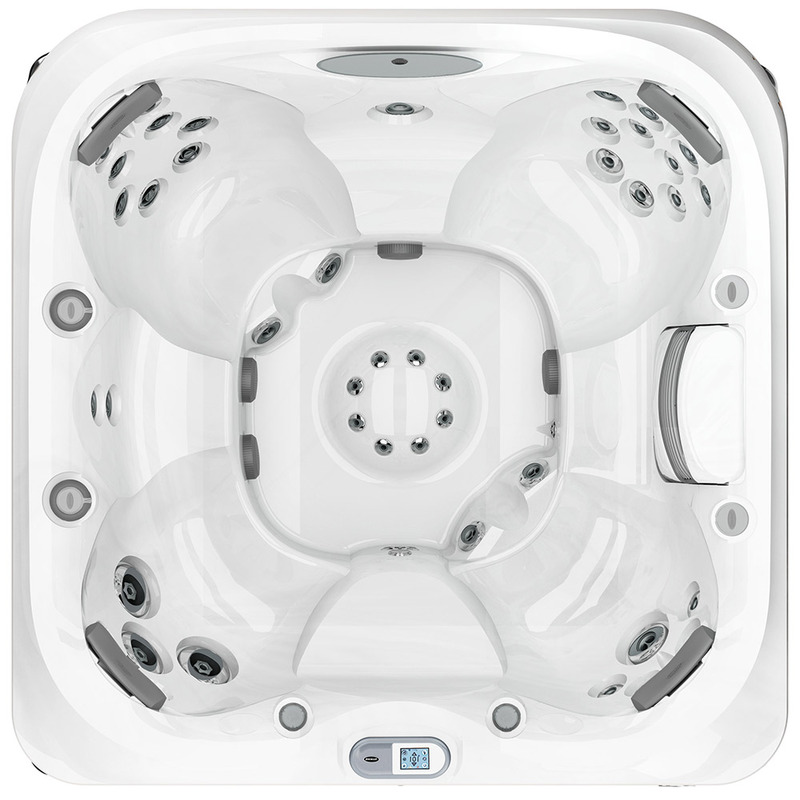 6 seats with varying heights makes the J-445TM the perfect fit for everyone offering a shallow soak through to a deep immersion whilst integrated PowerPro® jets in each seat provide a luxurious and effective hydromassage programme. The RX seat offers the deepest soak available in any Jacuzzi® hot tub whilst delivering a Swedish-style back treatment combined with treatments to the calves. The FX-12 therapy seat delivers an adjustable hydromassage which targets the neck, shoulders and back. 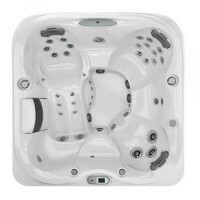 The unique design of the J-445TM features a high-back which helps engulf you in warmth even when the surrounding temperature is much cooler for the perfect hot tub experience, in addition the high-back provides additional privacy for users. Other never-before seen innovations include dual purpose illuminated diverter knobs which are designed to also act as cup holders for added convenience and adjustable pillows that provide the perfect place to rest your head and adds enhanced relaxation for people of varying heights. 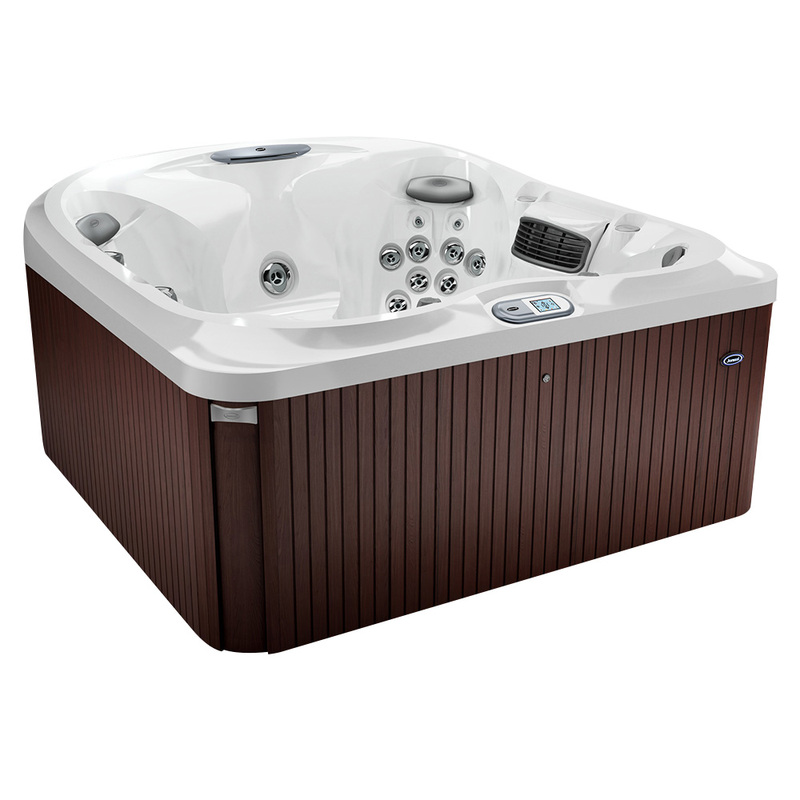 To complete the premium experience, the J-445TM hot tub features the ProTouchTM Control panel, this multi-function, touch screen control panel is simple and easy to use offering a variety of user settings to optimise performance and maintenance requirements.